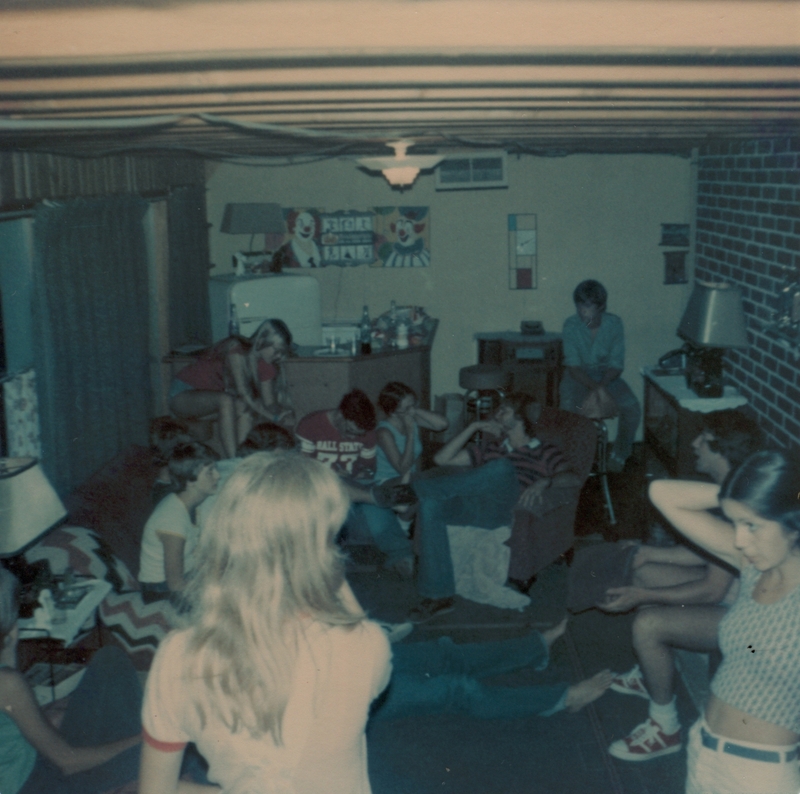 My basement looked like this numerous times during the late 1970s. Starting in the lower, left hand corner – Connie, Virgeen, Therese Whitehead, Jerry, Dave Seitz, Scott, Carol Hevia, Mike Wroblewski, Nancy Crow, Timba, and Kris Wanat. This photo is awesome. Love it. Send them to me at the highest resolution, and I’ll color-correct them as much as possible. The resolution isn’t that great and I did use Irfanview to autocorrect the color and contrast. I will still send them to you though. That image is pretty far gone, I’m afraid. Fun shot. Full house! I guess this was before I was in the picture? I’d sure love to have that Mondrian clock. I have the perfect spot for it. Your image is much clearer. I’ll send the rest to you for cleaning up. 🙂 I haven’t edited any of the others yet, you’ll get them right off the scanner. Thanks in advance. Carol – you may not know much about digital pictures, but you have more knowledge in your little finger than I have in my whole body. Jim – This was the summer of 1976. I either just met you or, you’re right, we hadn’t met yet. But I knew you before I went back to school in the fall. I never even noticed the clock. I haven’t seen it for a while. If mom still has it I’ll send it to you. I don’t know what kind of shape it’s in. Ummm, Jim…. I’ll still send it to you if it’s around.